Wow, who ordered the weather? A fantastically bright and warm morning descended upon the Loxley Valley with 2,519 runners completing the 25th running of the Percy Pud 10k. Firstly, many thanks everyone that ran today to make it another successful Percy Pud race. Big kudos to all the volunteers and marshals who gave up their time to help, it is very much appreciated by everyone at the club. The race couldn’t be what it is without you. 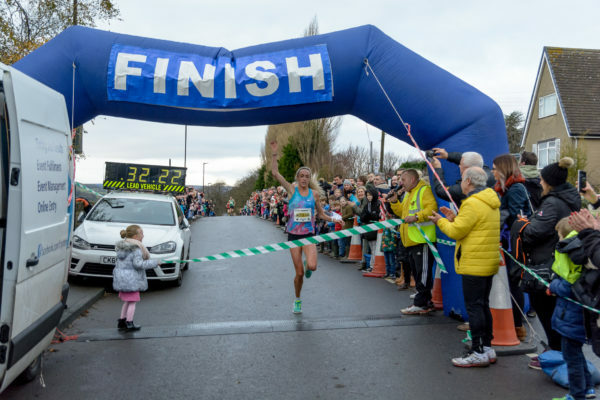 Breaking news is that for the second year in a row both male and female course records were broken today and the club handed over £1000 cheques to each of the winners. 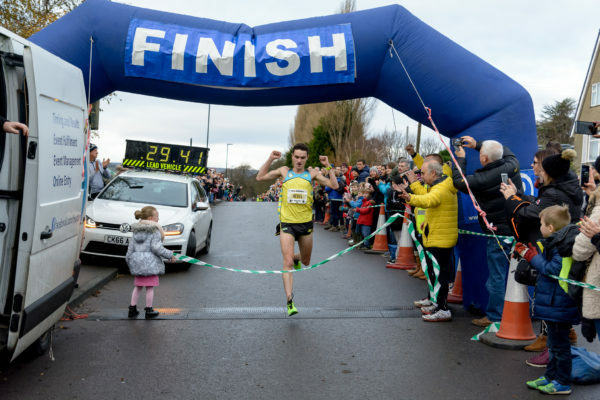 Local runner from Hallamshire Harriers Andrew Heyes took 15 seconds off last years course record winning in a stunning 29:42. 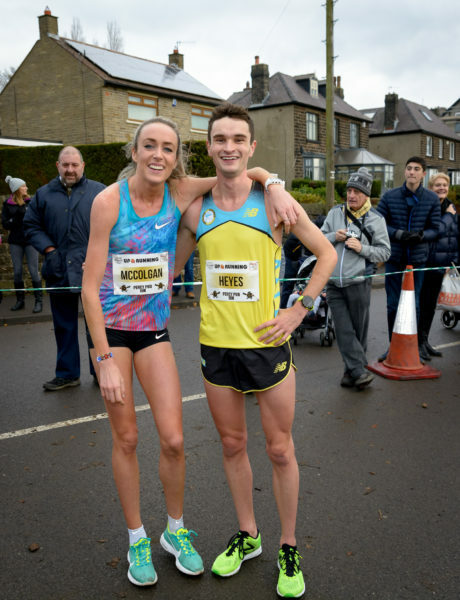 In the ladies race, Rio 2016 Olympic 5000m finalist Eilish McColgan of Dundee Hawkhill Harriers broke her own course record by finishing in 32:23. She also finished 2nd overall behind Andrew highlighting her dominance today. Her time was the second best 10k time in the country this year. We look forward to see who maybe come and challenge those times next year? It was also really pleasing to see the sharp of the leaderboards littered with runners from local clubs too showing that running in the area is stacked with quality. We even went up to V70 prizes this year to reward runners of all ages. If you have a query with your result, please contact FR Systems on info@frsystems.co.uk giving as much detail as possible. Don’t forget, if you present your race number to Up and Running on Church Street in Sheffield city centre you can claim a 15% discount off any purchase. Rick and the team are looking forward to see you all in the coming weeks. Don’t forget we are running a photo competition with the deadline for entries on Friday 9th December. Full details on the dedicated photo competition page. Feeling Inspired? Like what you saw? Want to run more? We hope you all enjoyed yourself today, especially those runners currently not in a running club and first timers. If running the Percy Pud leaves you inspired to push yourself further, want to improve or you just want to run socially with other like minded people, have you considered joining a running club? Steel City Striders accept members online at any time of the year and invite you to come along to any of our training sessions under no obligation. You don’t have to join the club to come and try a training session, just come along and see what you think. We run sessions from Hillsborough, Heeley, Graves, Millhouses and Woodburn Road track each and every week. Full details on how to join and what benefits the club offers are explained within the website. We are also on Twitter and Facebook if you want to keep up with us. If you have any questions, please use the contact form to drop anyone at the club a message.